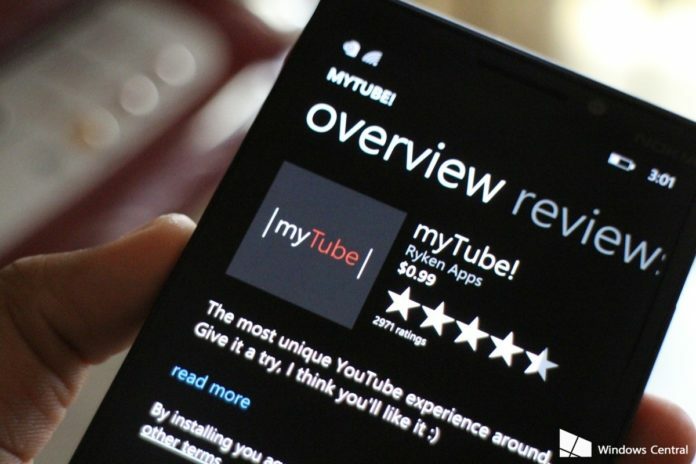 MyTube is a third party YouTube app for windows 10 mobile and it's being developed by Ryken Studios. Although this app is still in its beta stage but more updates are regularly been released to make the app more stable. MyTube has just released a new update which is the version 2.9.35.0 and it's comes with some new features such as New color scheme for the player controls, ability to post comments, now works on Chromecast among other features. One of the most noticeable features of the new MyTube update is the ability to continue listening to the audio seamlessly without any short pause whenever you minimise a video that you are currently playing. But these feature only works for those who have upgraded to the latest windows 10 anniversary update. Below is the full change log. You can download MyTube from this LINK.